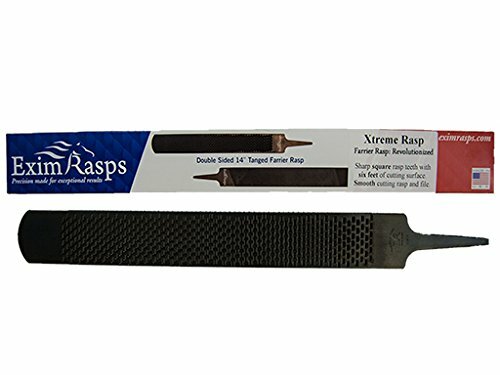 What Is The Best Farrier Rasp On The Market? Farrier work is about so much more than just shoeing, or just trimming the hoof shorter to prevent splits and damage to the hoof. Trimming the hoof to the right shape involves a bit more delicacy than just snipping away the excess hoof – and that’s where the rasp comes in. 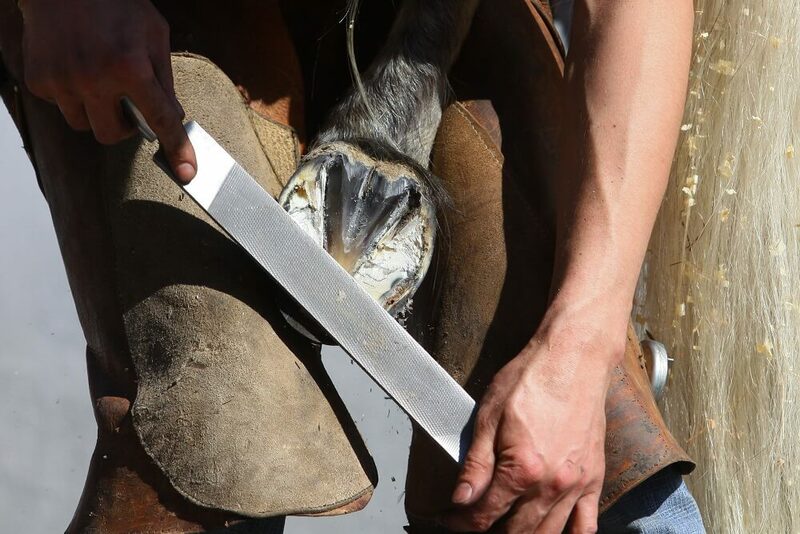 Rasping the hoof really finishes the job off; it makes a nice shape, prevents any sharp edges to the hoof which may split and splinter, and does the fine work that the clippers just can’t do. This is a good quality rasp which does exactly what it’s meant to. Heller are a relatively new company, but don’t let that put you off – they make good quality farrier products that have come to be relied upon. Wider than a standard rasp – This extra width gives you more cutting surface, making your job easier and quicker. Cutting teeth extended right to the edges – Again, this gives you more of a cutting surface for your buck, and will in turn make the rasp last longer than some others. One rough side and one smooth – This is great because it means you have a hard cutting side for the bulk of the rasping job, then the finer side for finishing off the job and tidying up. Fits most handles that are available – Having a standard rasp that will fit generic handles is a great thing in a rasp, as it means you don’t have to spend vast amounts of money getting a specialist handle. It’s a fairly big, weighty rasp – If you prefer your rasps to be on the smaller side then this one may not be for you. A hardworking, well made rasp for everyday use, this one will make your working life easier. A strong and durable product, the Heller will make your trimming tremendous! A professional rasp, this one is made in Pittsburgh and uses modern, advanced, innovative designs and manufacturing processes to make sure you get the very best product that will make your job easier. Extremely sharp and aggressive rasp – Having a very sharp rasp that will do the job quickly will not only make great work of your customers’ feet, but will also remove much of the strain from you. Perfect for soft hooves and wet conditions – This is great news for those who live in more rainy areas. This rasp will work wonderfully with the softer hoof, and has a tendency to not rust nearly as quickly as some other rasps. Two sides for a variety of rasping – The Xtreme has a finer rasp area on the other side, which means you can get a more delicate trim, to round off the edges and make the whole trim much more uniform. Not the best rasp for harder feet – If you live in a very hot area, or you are trimming horses with harder than average feet, you may wish to look elsewhere as you will have to work harder with this rasp on harder feet. A truly professional rasp, this one has been created using sophisticated techniques and high quality workmanship. The result is a fantastic rasp that can save you hours of hard toil over the years, and end up saving you money as each trim will be quicker than it could be with another rasp. This rasp is well made, extremely durable and will make light work of all your trimming. It has been created with farriers in mind, meaning that it does exactly what it says on the tin! Diamond have been making high quality farrier products since 1908, so you know that you will be buying into a brand that is trusted and well loved. 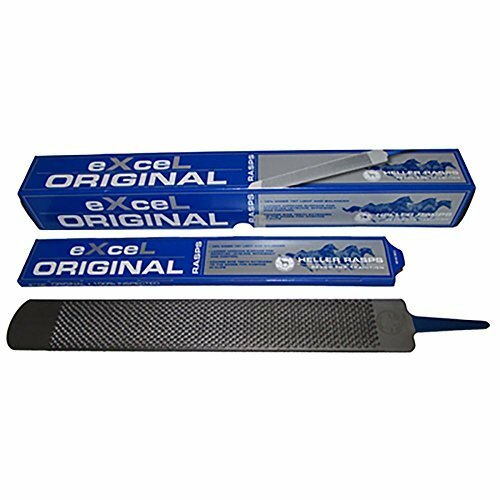 Large cutting surface for efficient working – Having a large cutting surface takes the hard work out of the job for you, and will help save you money on rasps as this one will last a long time. Unique Nicholson Magicut file pattern – For those who are already aware of the advantages of a Magicut file pattern, this will be a big selling point. For those that aren’t, you will soon discover how great this is! Narrow chip breakers – These are created by steep and angled serrations, which add to this file’s exceptional performance. It’s on the small side, so ideal for those with smaller hands – If you’ve struggled to find a rasp that suits you because they’re all too long, this one will suit you down to the ground. At 14.5 inches, it is smaller than some others on the market. May be too small – Having mentioned the size, it is worth saying that if you favour large rasps then this one may not be ideal. It will do the job, of course, but for those who like a long rasp this may not be the one. A fantastic rasp, made by a fantastic company that have been known and loved for more than 100 years, this one is a must for professional foot trimming. A good rasp is a farrier’s best friend. It finishes off the job that the clippers do, and makes a beautiful, clean, well rounded hoof. You want it to be comfortable to use, well made so that it lasts a long time, and strong and sharp enough that it takes the hard work out of it for you. Have a look through the products above and see if you can’t find your next favourite rasp. I bet you can!